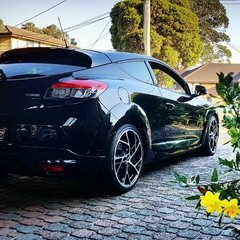 Potential owner here, i have been in the market for quite a while now looking for a "drivers car". I have weighed up all options, including purchasing the new i30N and also returning to my roots of owning a 2000 DC2 Type R which are rare to find in good condition. My biggest regret is selling my Type R.
So now i have gone the full circle i am still undecided on what car i should buy. I have always overlooked the Megane RS for some reason (not quite sure). Until i saw a 2013? model fly past me the other day while i was riding, as soon as i got home i jumped on CarSales and was surprised with the great prices that they are advertised for!! I then also watched some reviews and was again surprised at how great the reviews have been! Ok i will cut the story short.. Looks like i will be looking for a 2012+ Megane RS. Now there are various variants.. I like the Recaro seats in some? not sure what variant comes with recaro's.. and i also like the idea of warranty still available. Maybe 2014 onwards? Can someone tell me what variant comes with Recaro's. While i am at it give me your best pitch to why i should buy one! Thank you! hopefully i am in one sooner rather than later! Welcome to the forum and congrats on your choice of car. The Meg RS is a cracking drive and the performance bargain of a generation as used vehicles. Look at the various Megane threads that explain the model differences (there are many and it’s very confusing indeed). To simplify things to be assured of Recaros go 8:08, RB7 or RB8 but lots of others have them optioned. If you go later than 2013, there is a good chance of 5 year warranty so possibly some warranty left on later ones. If you want to rock your world and don’t need rear seats, get a Trophy R, and it will ruin you for just about any car thereafter unless you can drop $200k plus on a performance toy. I guess it comes down to budget on respect to what you can get. Looks like you're looking at pre-facelift Mégane III either 265 or 250. The question re seats is very confusing on the pre-facelift 265 models which I think include cup, cup+, trophy, trophy+, limited edition sports (didn't come with cup suspension or LSD but had cloth Recaro Sportster CS seats), red bull edition RB7 and RB8, and 8:08. Then in case it was too straightforward some trophy+ came with leather Recaro Sportster CS seats as an option. I think the trophy came with leather Recaro Sportsters but not sat nav and reversing camera or cornering bixenon headlights. Then 2014 the facelift lineup returned to normal with cup and cup premium models but none from then on have the bixenon lights (which I have to say are a must IMHO). That's when the 5 year warranty kicked in. There's an amazing looking 8:08 in Qld that's just popped up for sale on the forum, has a $10K sound system in it. Mine's for sale (trophy+ with warranty still because though it's a 2013 I purchased it just after the 5 year warranty started) but after this weekend I'll be pulling it if it doesn't sell (I signed for a Focus RS LE contingent on me selling my car by Monday - I'm not interested in any other newer car at the moment so I'll keep mine in the meantime). Lol just beat me to it Jason! To the OP, the 8:08 Chuck referred to for sale inQld looks immaculate. I have seen it about a few times and is definitely near the top of the quality spectrum for the model. 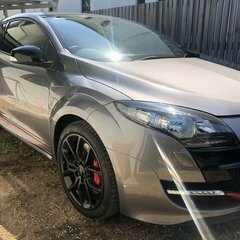 There’s also a very low km RB8 for sale in Sydney that started too high priced but is close to the correct money now that could be a good option for you. Both have leather Recaros. RB8 also has the bi xenon lights and satnav as it has the later R link from the facelift models. Was the last hurrah for the pre facelift version so is fully loaded as a limited edition. Thank you for the offer! Unfortunately I am in Sydney. My budget would be 20 max for the right car. There are a few 265 cup’s for sale in Sydney with -70 000 kms for great prices. They do not come with Recaro’s, are the standard RS seats good for track days and holding you in firm? Sent you a PM about the seats (and sorry about the push for mine!). Also worth noting how reliable they are mechanically as long as they've been maintained well (the timing belts topic is often discussed here!). Worth noting that some facelift cup 265 could be ex rental cars. Hard to know about some of them if they're second owners. My biggest regret is selling my Type R.
Car(s):Clio 3 2012 Torro Red. Not only are Meganes a performance car bargain (and a bit of a well kept secret here in Aus) they are also generally highly reliable, especially as others have said if they are looked after. The bits that are less spectacular are some of the trim items like door handles which can break. Doors are huge and the fixings are either designed by Italians or are minimalist to save weight (tongue in cheek). Fairly easily fixed so not a reason not to buy one. Im with you on the Meg v Clio (sorry good Clio folks here) because the lsd and the perfohub setup is a miracle of geometry and engineering. Makes a front driver very neutral to drive and pulls the nose around around the apex when you are on it. Mind blowing the first time you give a Meg a little of the angry pedal through your favourite roads. Get out of a Meg into a Clio and it feels skittish (to me) -horses for courses as lots of folks on here love the Clio (so they are right too!). Change the belts on schedule, keep good oil in it and throw a sat of PS4S tyres on it and head to the hills. You’ll love it!! Mate.. that is a sales pitch if I’ve ever seen one. Really want to jump in one for a drive ASAP. Further on that reliability question - they are relatively simple, with well proven mechanicals that have evolved over generations of RS cars. They are very well known to take a beating on road and track and reach high km without any real issues. Nothing can be 100% reliable but following these forums, talking to mechanics who work with these cars daily, I don't hear about anything specific or characteristic that would give me any concerns about buying one. And the driving experience is so, so good - the more you drive, the more you'll love it - their toughness is icing on the cake. And that is all you will need to do to become addicted. This is true. I don’t think I ever met someone who drove a Meg RS that didn’t buy one. Renault are well above PSA, VAG or FCA in my estimation in terms of a car I'd be happy to own 5 years old and out of warranty. I put you in the category of the very fine folks on here that love Clios - and rightly so. 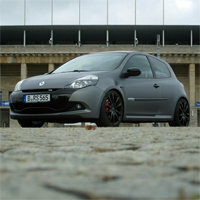 Great cars (esp Clio 3s). Just for me, the Meg is that little bit more that suits my tastes. To the OP, all RS cars are special and have their fans for good reason! Me too...but that's because I love my Clio 182 too much. If I could have only one car, I reckon a 275 might be it though. Meg RS definitely faster but not as fun IMO. Without wanting to offend anyone with a Clio (sorry if I did) my first RS was a Trophy R so it’s pretty hard to see any other RS as equal or better. Thr OP was discussing a Meg and I can relate to his dilemma on that front. Comparisons are odious. The Clio is a great drive; the Meg is a great drive — different horses for different courses. OMG your profile pic @tfdpny!!! If your not looking at chucks car, which is immaculate. This might be worth a look. I'd ask for close up of the driver seat as it looked odd in the photos. Low kms, good price. Timing belt done. I had a DC2 type R many years ago. Meg is obviously much quicker, but type R has a much better gear box. So far I am loving the exhaust crackles and pops of the Meg, and I think the LSD is a big plus. Was in your exact position a month ago and the more I looked into the Rs the less I could ignore it. I’ve had the pleasure to drive some pretty incredible and powerful cars and I couldn’t really believe what I was getting in the rs for the price. I picked up a cup+ which came with the leather rs seats which look awesome and are super comfy. The rs monitor is really cool and comprehensive to and with a remap this car is just too much fun I can’t recommend it enough. Drive it and you'll buy it! A weak point that i've noticed people experiencing in other forums and maybe this one, is the engine mount on the RS250. The upper hydraulic engine mount also leaks oil and requires changing too - you know its bust when you see black oil stains on the coolant bottle on the left of the engine bay - something to look out for! Its a cheap and easy fix nonetheless. I picked up a spare part for $190 brand new and changed it over myself. Also, just to clarify, the issue on the RS250 I was alluding to is the bolt. I believe this was revised in the RS265. So it has been a couple of months and I haven’t purchased anything. (In no particular rush) but I’m looking to purchase midway through Jan..
can someone enlighten me on what this means? If it’s a flat dark blue with grey Brembos it’ll be the non LSD model. There are, at most, only 499 left. The French Gendarmerie had some M3RS for their Brigade rapide d'Intervention (highway patrol pursuit units). From what I get they've an upgraded engine (presumably just a different ECU map) with 10 extra hp. The linked wiki article in French says there were only 55 units existing but it's unclear to me if they're talking about units or cars here. I'd actually guess it's the latter. None of them made it to Australia - I'd say that speedfiend41 is right if it's the flat dark blue colour. They were called the RS265 Sport Limited Edition. 50 were sent here when the PHII Megane was released as a cut price response to the popularity of the RS Megane. The came in only one colour - "Pacific Blue", and were priced at like $36K (Cheap as F**k). The tradeoff was that they were the only AU delivered cars to have the "sport" rather than "cup" pack, and this meant that there was no LSD, the Brembos were silver rather than red, they had no RS monitor, dual zone climate control, auto headlights, or keyless entry. I remember reading a couple of reviews and they were pretty lukewarm. Apparently the loss of the LSD made a big difference to the dynamics of the car. Would I get one? No, now that all 2nd hand Meggy prices have dropped to a similar baseline regardless of spec, there wouldn't be enough difference in cost now to justify going without all the good stuff. I would imagine they'll be marketed by sellers as a limited edition, and by definition I suppose they are. But they're not special. Haven't driven a DC2R before but owned an EG hatch for years (B18C2 Converted). The 265s are brilliant cars for its price. I hired the 265 from Hertz a few times the last few times I visited the family in Adelaide and drove it through the hills. And now a Meg 225 Cup owner. The reason why i brought a RS 265 Trophy + was simple. What can i have the most amount of fun in stock form for the least amount of $$$. Also I wanted to get something a bit unusual or different but not over the top - my friends and family were shocked but understood it once they saw it. At the point of your reply I had my mind wholeheartedly set on a Meg... my mate has just bought a 2016 Clio.. I’m surprised how fun they are! can anyone enlighten me on things they dislike? Except in comparison to a naturally aspirated 172, 182 or 200, the turbo 1.6 has loads of bottom end power. There’s a certain pleasure in revving the ringer out of an NA engine, but it can get a bit tiresome. Drive both. High revving manual or torquey, newer automatic. All great cars. I wasn’t a fan of the smaller car, no Brembos & am auto gearbox. But I guess I’ll drive one first. What is everyone’s opinion about the DCT? I’ve read it is the same maker as the Ford DCT..
We had one, and of course "horses for courses". Sold our mint 2014/5 Cup Premium and got a Red Bull Clio III, I just didn't like the box. You can drive around it most of the time but every now and then I would use more throttle and the box would change down un-commanded. The Clio IV is much quicker low down and generally very quick compared to the III, both have massive grip. As has been posted here earlier, what is it you want. If you prefer complete control, go for the Meg, if you just want fun go the Clio III, if you want fast fun and don't mind a bit of DCT go the Clio IV. I have another car for going quick so the Clio III was just a fun chuckable car with lot's of grip, if I want to go quicker in it I just use the top end of the rev range. Reliability is not an issue if you get a correctly serviced car.